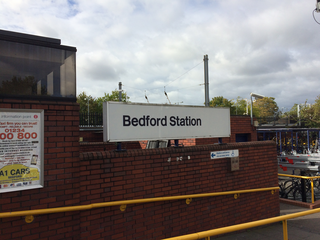 With chaos continuing on Thameslink rail services well into the second week of new timetables which remove fast intercity peak services from Bedford, Mayor Dave Hodgson has written again to Govia Thameslink and insisted on an urgent meeting to seek answers on behalf of Bedford rail users. 'One of the many reasons why Transport Secretary Chris Grayling's letter to MPs this week blaming everyone else is so pathetic is his talk of a meeting 'after recess'. While ministers enjoy their break, perhaps they'll spare a thought for the thousands of Bedford rail users who are struggling to meet everyday work and personal commitments due to the chaos on the railway!"